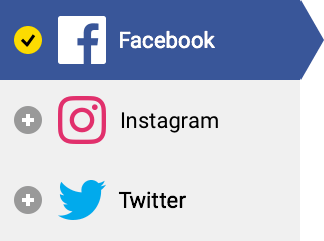 Publish on Facebook, Instagram, Twitter and Google+ – everywhere and on multiple profiles at once. Plan your content with calendar and drafts. Include your clients and co-workers in the content design and decision making process with customized post flows. You can publish content to multiple profiles with just one click. But a tweet is not the same as a Facebook or Instagram post. That’s why we give you the option to adjust your message to each platform – just use the padlock to unlock the crafted message. Proper planning prevents poor performance – it also applies to your social media communication. 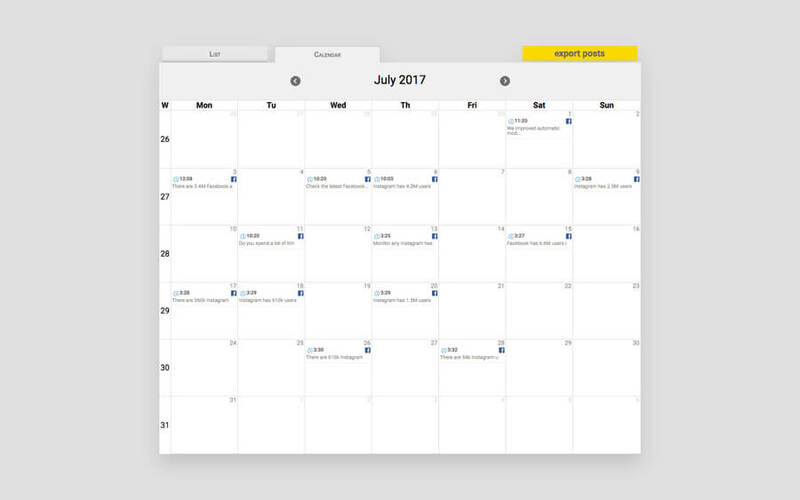 With our calendar you can easily fill all the blanks and control when and where your messages go. Automatically add predefined Google Analytics UTM tags to all links published from NapoleonCat. You’ll be then able to track conversions from each channel and determine how each post or tweet performs. What content to publish and when? You’ll know if you tag your posts and then check the analytics to see which days of the week, parts of the day or content types trigger highest engagement within your audiences. Each post comes with its own story. And you can track this story with NapoleonCat to see who created the draft, who approved it, what internal comments have been made in the process and when it went live. No more mysteries.